The Gray Malin brand was fostered with a deep passion for photography and interior design. Merging these affections with a spirit for travel and adventure inspired the character of the brand. 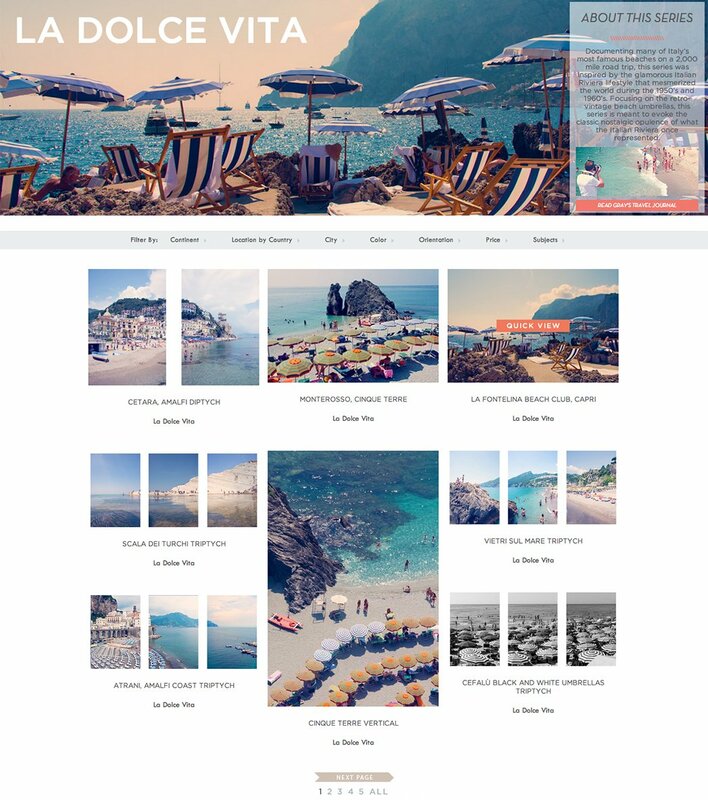 As Gray Malin expanded beyond simple photographs, the company needed to revamp their website to promote the inspirational lifstyle it promoted. I was assigned to lead the web development using the Magento CMS. The site began with a barebones theme and eventually evolved into the complex site it is today. The company constantly wanted a unique functionality which required heavy backend customization, all of which I handled. More importantly, I completed the site remotely while juggling my masters degree in school.